Chronic obstructive pulmonary disease, commonly called COPD, is a lung disorder brought on by years of smoking, or by ongoing exposure to harmful environmental toxins that permanently damage lung tissue. The result is obstructed airflow that makes it difficult to breathe, and limits the amount of available oxygen to satisfy cellular needs throughout the body. COPD patients are typically older adults who often also have other metabolic disorders associated with aging. These clients are often on multiple medications, and frequently carry oxygen tanks with them to increase available oxygen to the lungs. While COPD is not reversible, working with COPD patients can be rewarding, as you help them cope with their limitations while improving their overall quality of life. When you inhale, air travels down your trachea and into your lungs through two large bronchial tubes. Within your lungs, the bronchial tubes branch off into numerous smaller tubes called bronchioles. At the end of the bronchioles are clusters of tiny air sacs called alveoli. The alveoli play an important role in the exchange of oxygen and CO2 traveling to and from your body’s cells. Their thin walls are filled with capillaries that allow oxygen to enter your bloodstream, while enabling carbon dioxide, a byproduct of cellular metabolism, to leave your body as you exhale. The structures and tissues of your lungs have elastic properties that allow them to expand and contract, facilitating the process of respiration. When damaged by COPD, those structures lose their elasticity, causing air to become trapped in your lungs during exhalation. In addition to the lung tissue itself, respiration is facilitated by your diaphragm and other muscles involved in the respiratory process. Most cases of COPD fall under one of two subcategories; either emphysema or chronic bronchitis. Chronic bronchitis is an inflammation of the bronchial tube lining, causing tubes to narrow and produce excess mucus, which further blocks the narrowed tubes. Chronic coughing to try to clear the airways can reduce the amount of oxygen that reaches the alveoli. With emphysema, the alveoli themselves are destroyed due to ongoing exposure to toxic gasses and particulate matter. Small airways may collapse during exhalation, reducing the amount of air that can exit the lungs. 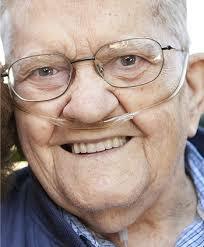 Oxygen therapy: Supplemental oxygen is often prescribed to increase available oxygen to the lungs. Many COPD patients use portable units that provide a steady flow of oxygen via a face mask or through nasal prongs. Some patients use supplemental oxygen only while physically active or sleeping, while others use it around the clock. Pulmonary rehabilitation therapy: A rehab program often combines education, exercise, and nutritional counseling. Patients learn specialized breathing techniques to maximize oxygen uptake. Clients with COPD have usually been given some exercise guidelines from their health care provider. As a fitness practitioner, your goals should be to help improve muscle and lung function, and increase exercise tolerance and endurance. Working with special populations can be gratifying and rewarding. Helping others to improve their quality of life while managing their limitations takes patience, empathy, and basic knowledge about the client’s condition. W.I.T.S. is here to help with continuing education resources to support you and increase your professionalism. Consider taking the course “Respiratory Rescue: Understanding the Pulmonary Dysfunctional Client,” or learn more about common health disorders with the “Chronic Disease and Exercise Certificate Program.” Set yourself apart with specialized knowledge from W.I.T.S., to build your reputation and increase your income. Next post: The Informed Consent/Release Form: What is it, and why do you need it? Good overview. As a PHysical Therapist who has worked with COPD patients in a rehab setting, I would like to add a few key points. It is important to monitor blood pressure, oxygen saturation levels and heart rate. Often, the doctor has established levels not to be exceeded for individual clients/ patients. A pulse oximeter is a great tool for CPT’s to measure heart rate and oxygen levels to keep them above 90%. Also, upper body exercises increase BP and HR more, so it is helpful to alternate upper and lower body exercises, as well as alternating between sitting and standing activities to help regulate HR, BP and O2 saturation levels. Exercise does make a difference in stamina, even in people with COPD. Very interesting when acquiring all this knowledge to help people with chronic disease to improve the quality of their lives and independence. I would like after that to specialize in chronic disease and exercise.